When the selection of widths, slopes and grades for these elements are combined with the function, service level, traffic and anticipated posted speed of the roadway, the basic configuration of the proposed facility is determined. A well-designed facility combines the preferred values for each of these elements in a safe cost efficient manner within the context of the community. Roadway: The portion of a highway, including shoulders, for vehicular use. A divided highway has two or more roadways. Travelway: The portion of the roadway for the movement of vehicles, exclusive of shoulders. To see the relationship of these typical section elements click here. 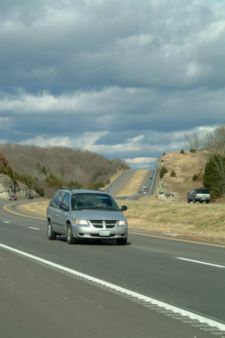 Articles in "231 typical section elements for roadways"